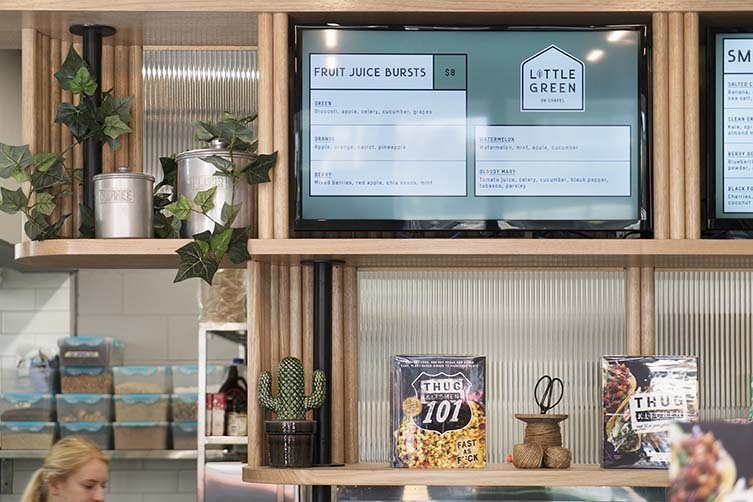 The design elements of Little Green on Chapel Street, South Yarra—all lively and popping with vibrancy—feel every bit as natural and fresh as the healthy food on offer at this cute little Melbourne vegetarian café. 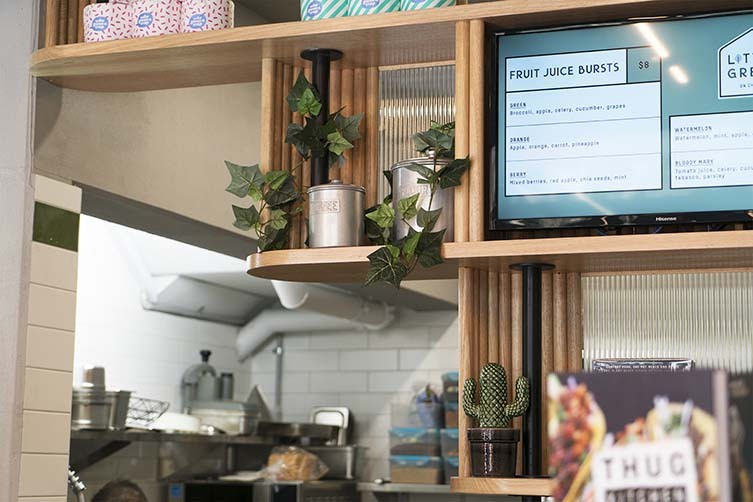 Benjamin Frétard—of Fitzroy-based FRETARD Design—has achieved that look by blending a blush colour palette with exposed concrete walls, natural light, timber shelving, and plenty of textures. 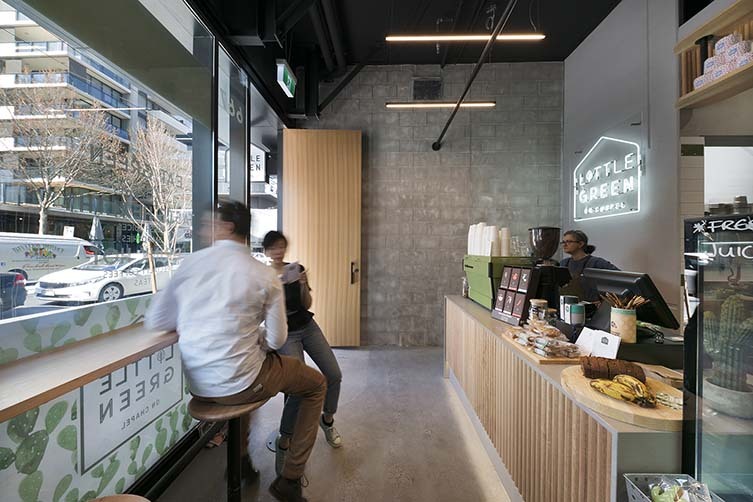 At just 40 square metres, communal seating beside the window and directly outside adds a feel of spaciousness; as does the seamless use of concrete and semi-transparent glass throughout the deceptive space. 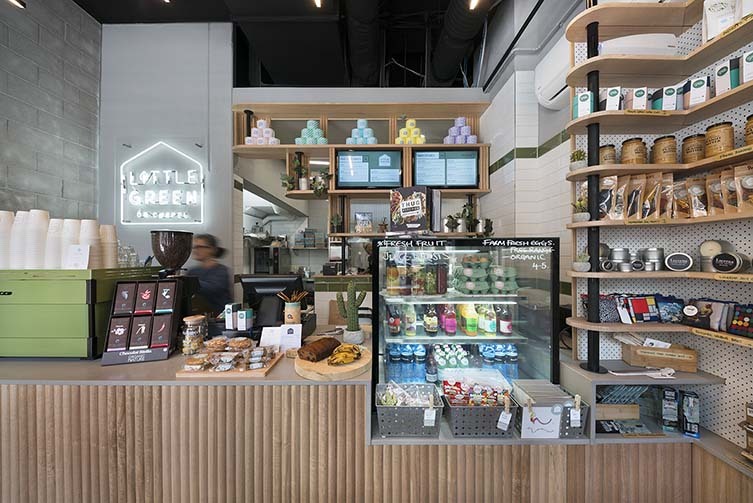 Fresh cakes, loaves, and biscuits fill the café’s wooden counter top, which is completed with a pastel green La Marzocco coffee machine—whilst plants and natural food products fill the adjacent shelving units adding that wholesome feel. 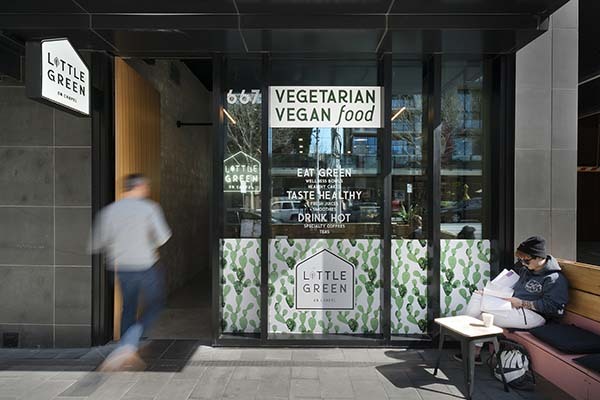 A vegan and vegetarian oasis in the heart of Chapel St, Little Green is the place to get your fresh juice and smoothie fixes, savoury and sweet bowls, and jaffles (which those outside of Oz might know as toasties or grilled cheese) that include typical fillings such as baked beans, cheese, chilli con carne (vegan obviously), pesto, and sweet-treat options too. 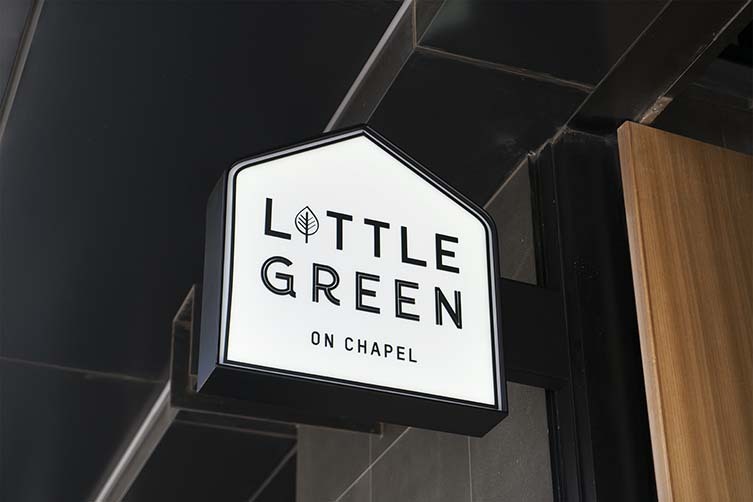 Uncomplicated and clean, a detail that carries over to the slick neon logo and general vibe of this neighbourhood hole in the wall, Little Green on Chapel makes us feel all wholesome again. And, hell, that’s fine by us.